Protecting people and saving lives. Our passion and expertise in helping others drive us to go the extra mile every day. You'll become part of a team of professionals who go to extraordinary lengths. We offer our people the opportunity to develop a truly rewarding and exciting career whilst fulfilling our commitment to delivering international standards of healthcare and security with a WORLDWIDE REACH - HUMAN TOUCH. Our company brings together remarkable people and enables them to be themselves. 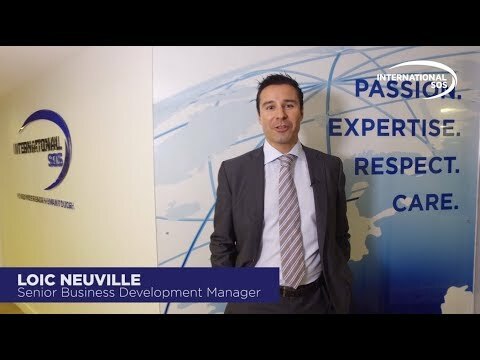 At International SOS, we offer a great working environment, thanks to our commitment to flexiible working environment, diversity and development. We celebrate diversity on a global scale. We encourage every colleague to bring their personal best by creating an environment of inclusion and equal support. We have been recognised as such as Top Employer in the UK. Our success is the result of diverse ideas, skills and cross cultural understanding. In Europe, we speak more than 50 languages in 18 locations. Your work will reach across borders everyday, virtually and literally. We celebrate diversity on a global scale. We encourage every colleague to bring their personal best by creating an environment of inclusion and equal support.